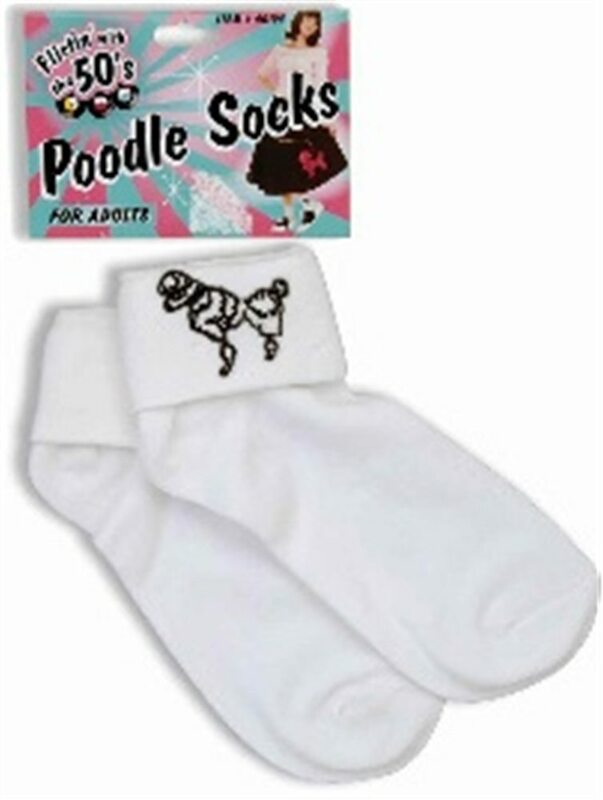 50s Poodle Socks,Grab your black and white saddle shoes and poodle skirt and have an additional great accessory by wearing these 50s poodle socks. White fold down ankle socks with poodle appliqué. Great accessory for your Grease or any other 50's costume. Grab your black and white saddle shoes and poodle skirt and have an additional great accessory by wearing these 50s poodle socks. White fold down ankle socks with poodle appliqué. Great accessory for your Grease or any other 50's costume.